Why Do CEOs Have Affairs? When a high profile CEO has an extramarital affair, as former Intel CEO Brian Krzanich did, it produces outcomes too devastating to contemplate. So why do it? 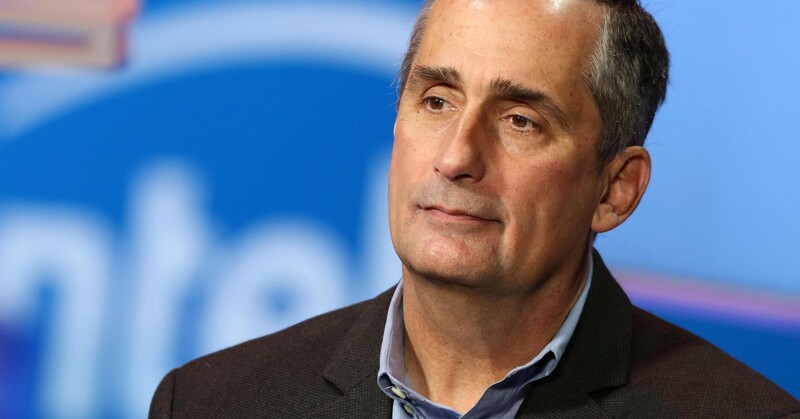 The risks of having an extramarital affair, even when it is consensual, as former Intel CEO Brian Krzanich did, are too great to contemplate. It can damage one’s ability to lead the company, not to mention the harm to personal relationships, making it an act of total insanity for a bit of adventure. So why does a CEO take the chance? The answers are both obvious and more complicated. As an article in the Observer pointed out, it’s true that everyone but the CEO is allowed to have an affair. According to Trustify, a leader in data security investigations, 36% of men and women admit to an intimate, adulterous relationship with a coworker, where the risks are more personal rather than professional. But when the risks are sky high, as they are with in the C Suite, men are more prone to engage in love affairs. Does this suggest powerful men are willing to take greater risks, just as they might in a business deal? Or are they simply more stressed out and in need of support in the form of alternative therapy? Or is it a power thing, the feeling you are such a big deal the rules don’t apply to you? Or you are so smart, like the CEO in the story at the beginning, no one will catch on? If you examine the corporate record, love affairs in the C Suite aren’t a habit yet, but they aren’t a rarity, either. If we start the clock with Harry Stonecipher’s dismissal from Boeing in 2005, it amounts to roughly one eruption every few years among major CEOs, or more accurately, male CEOs: Wynn Casino’s Steve Wynn, GE’s Jack Welch, CIA’s General David Petraeus, HP’s Mark Hurd, BP’s Lord John Brown, and Priceline’s Darren Huston, to name a few. All had affairs, tried to conceal them, were outed, disgraced or pilloried by the media, and all were men. What else do we need to know? Looking from across the aisle, it is interesting that no female CEOs of major companies have been terminated for inappropriate relationships against company policy. Yet, women, as chief executives, suffer from the same level (or more) of stress, travel away from loved ones, media scrutiny, and job insecurity, as their male counterparts. During the past year, according to the Wall Street Journal, nearly one-third of female CEOs of major companies have lost their jobs. None were charged with an in appropriate love affair as the reason. Perhaps we can study the examples of the brilliant women running challenging organizations, like GM’s Mary Barra, IBM’s Ginni Rometty, and Pepsi’s Indra Nooyi. These women deal with the highest levels of stress imaginable, yet they keep their personal lives and work separate. There are also useful lessons to be learned by examining the recovery of formerly disgraced CEOs and how they have moved beyond their personal crisis. — Know yourself. We all act out of character occasionally, and an extramarital affair is a prime example. The fact that many of the CEOs who were caught in inappropriate affairs have gone on to build great or greater second acts suggests it was an aberration. General Petraeus is a partner at KKR, Mark Hurd has run Oracle splendidly, and Lord John Brown is an advisor, educator, and philanthropist, activities he would have engaged in had nothing changed in his career. Perhaps there are moments when we just need some help, and knowing ourselves better could inspire us to get the right kind. — Dedication to the cause. If someone is 100% engaged, as most CEOs are, by the way — temptations are chucked off. When we are totally fulfilled in our work, coworkers become vital teammates not love objects, and there isn’t any line to cross. — Solve your personal problems. If the CEOs marriage is on the rocks, something you should share with your board, by the way — then deal with that independently. If your strategic planning skills are so great, figure out a better way to fix or end a sour marriage than an affair. The cost will be a fraction of the alternative. — Talk to a trusted friend. There’s nothing like a confidante with a good head at times like this. They’ll tell you to do the numbers: a $20 million dollar divorce settlement (minimum), a $10 million settlement from the company to your former lover (minimum), legal fees around $2 million, and loss of job and future prospects. Even the most ardent flame will extinguish pretty quickly under that cold water. — Already having an affair? You have two choices, neither of them particularly auspicious: end the affair immediately, resign or both. Depending on how long, and with whom, the affair has gone on, there may be mitigating circumstances. You will still need to make a public confession and the fallout from that will determine the outcome. If you have to leave, you have saved some dignity, which will come in handy (see second acs, above). The bottom line, as with any form of questionable behavior, the consequences should be examined carefully before making the decision. Draw up a list of pros and cons. Then have a frank conversation with your proposed amour, preferably during the morning hours. That should have the intended effect.